The comedian George Carlin once did a routine about what people consider to be “essential stuff.” When you go on a trip, you select from among your possessions only what you need for the trip. If during that trip you decide to take a short overnight excursion, you might pack a day bag with only the items that are truly essential. Carlin’s humor points us to an important question: what “stuff” is essential in your life? Oddly, I thought of Carlin’s comedy when reading the parsha this week. In Parshat Beshalach, we are given a few hints as to what the Israelites carried as they escaped from Egypt. Keep in mind that they did not travel lightly and they had no SUVs to load for the drive across the dessert. So what did they carry on their journey? They took livestock with them. They carried materials to make booths or tents. They had “borrowed” jewelry from the Egyptians. Certainly, other things had to be left behind. While Carlin’s humor and Kondo’s guidance focus on individual needs, they haven’t addressed the spiritual component to de-cluttering. That’s why we need Torah, where we learn Moses’ choices on what to carry. Moses took with him the bones of Joseph. Joseph exacted a promise centuries earlier to be buried in Canaan. Moses was not even alive to have made that promise but he honors it nonetheless. I wonder what choices Moses had to make in order to make room for a reliquary of bones, instead of essentials like food, building materials, or clothing for the long trip? From his choices, what do we learn about how to value the physical items in our domain to be preserved. Torah is teaching us we need to honor promises, even if made centuries earlier to a deceased ancestor. A people that would honor an ancient pledge demonstrate particular characteristics of duty and loyalty that uplift their lives and refine their souls. Moses knew that carrying forward the past was an important lesson for the future. Moses not only upheld a promise, but also demonstrated the importance of foundational Jewish principles: preserving memory and sustaining a legacy. 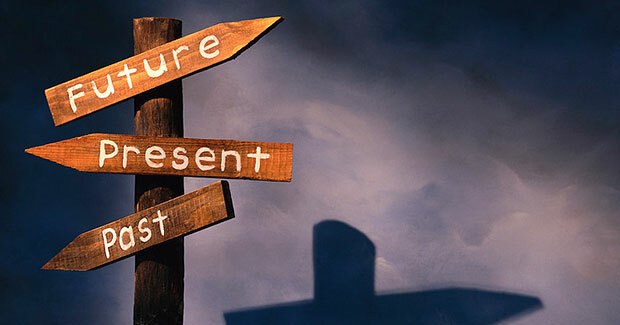 As you travel through life, what items are essential for you to bring forward on your journey into the future? The selection of important tangible items can demonstrate a measure of value beyond a price tag. What we find essential to carry forward speaks to the values we choose to espouse in our lives. When it comes to tangible items, the relics of the past we carry with us can be reminders to stay true to important principles. Imagine you are about to embark on a journey and you might not ever return: what must you carry with you to protect a promise, preserve memory and sustain a legacy? Notice that in making those selections, you can be affirming or declaiming important Jewish values.